Do you know what really makes a home sell? If your house is not in the perfect location, reducing the selling price is usually presented as a second option. 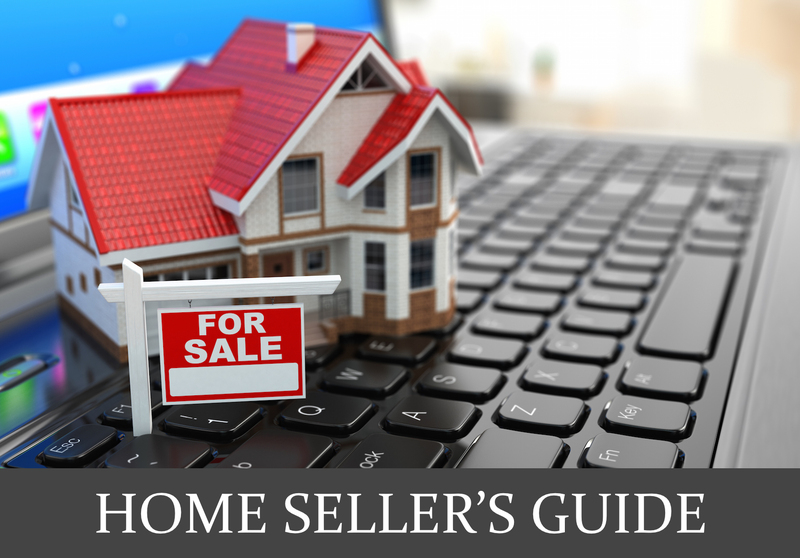 However, if you are a home seller, your goal is to sell for top dollar! So, what should you do to help your house stand out and quickly sell for a good price? 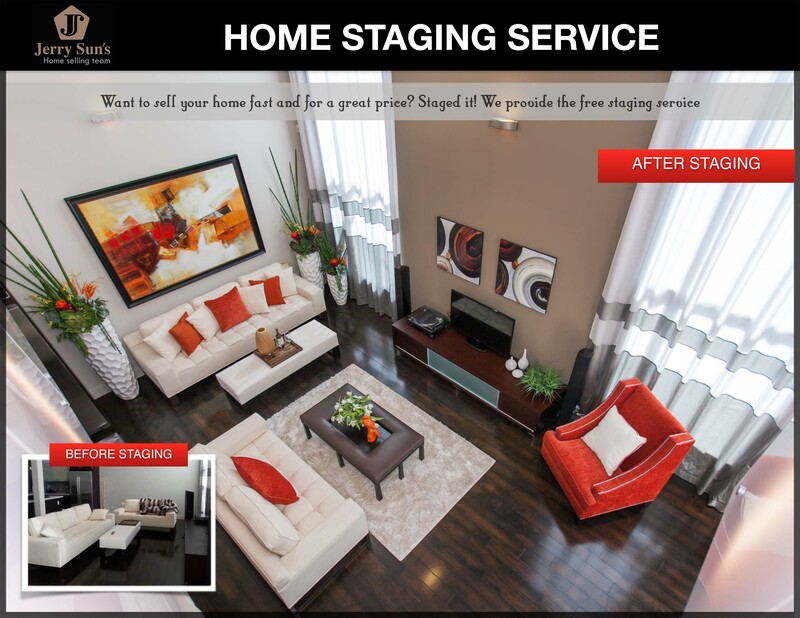 The answer is: Home Staging is the key!!! Home staging is quickly increasing in popularity because it makes it possible for buyers to quickly market their houses for a higher selling price. Home staging is the key to getting your property sold by making the house attractive to a large pool of potential buyers. Successful home staging is simple and if done correctly, ensures that you are able to attract buyers and sell it for the best possible price. 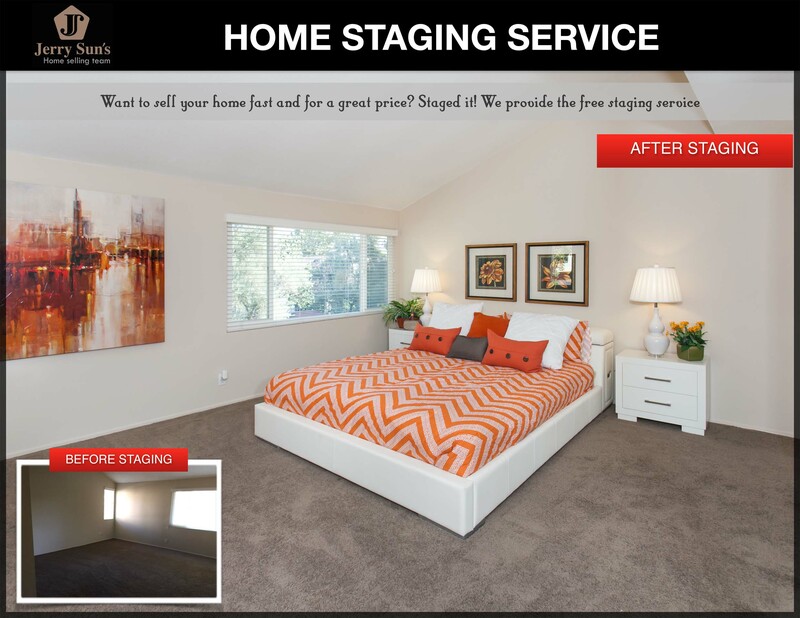 If you’re selling your home and want to make the process happen faster, you should consider getting help from a home staging professional. Although there are costs involved with hiring someone to stage your home, it’s typically greatly outweighed by the benefits gained. The first major benefit of hiring a professional is their knowledge of home design and ability to showcase your home’s best features. They also know how to present your home to ensure it’s attractive to the buyers you are looking for. 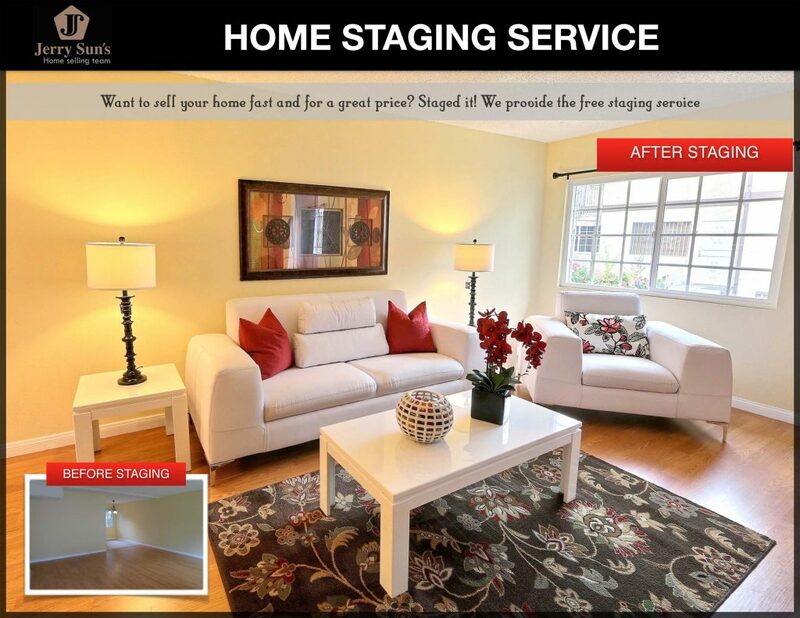 The great news is Jerry Sun’s Home Selling Team offers our clients a FREE professional home staging service!! 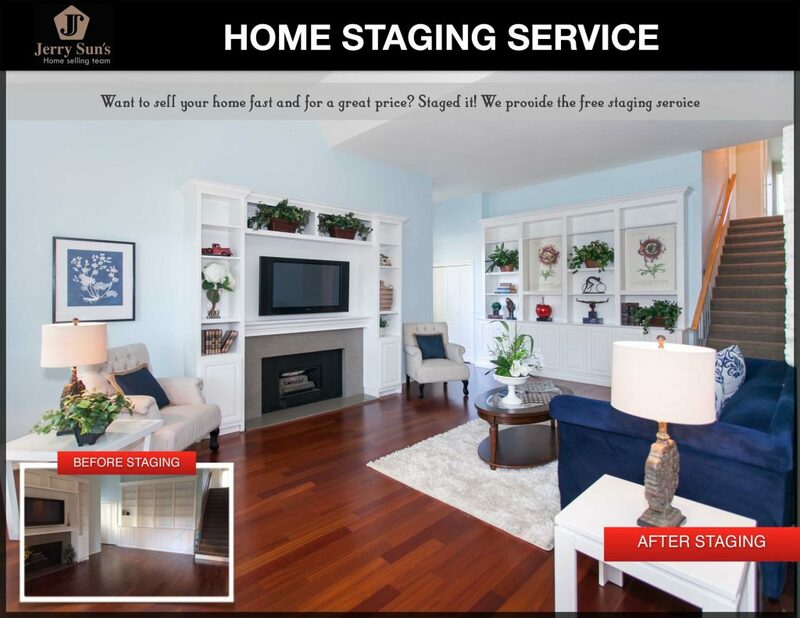 Professionally staged homes sell 80% faster and price on average for 6-10% more than homes that are not staged. 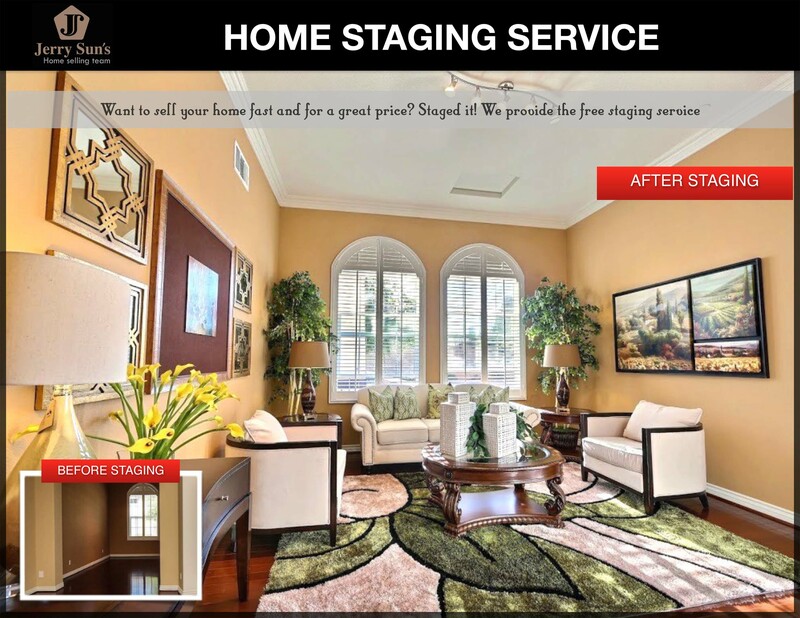 We provide FREE professional staging to transform your home into a “picture-perfect” showcase house. 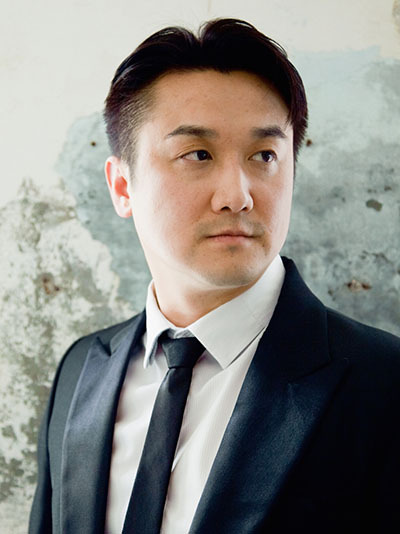 We also have the best marketing plan that no other agents have.If you are thinking about selling your home, please contact Jerry Sun at 626-589-0997.